In 1973, years before anyone had heard the term global warming, German insurance giant Munich Re conducted its own study of the effects of climate change. Today, the firm recycles three-quarters of their paper, publishes environmental indicators on its website, and is heading for complete carbon neutrality by 2015. Munich Re proves that it’s possible to put environmental policy at the heart of a business and still remain a large and competitive company. However, not everyone has enough time and money to undertake a huge investigation into global warming. So, what can smaller firms do? The first step is to turn the lights off. According to the Carbon Trust, lighting accounts for between 20 and 50 per cent of total energy consumed in commercial buildings. So, ensuring the lights are off at the end of the day will make a big difference. Similarly, modern LED lights achieve energy savings of between 70 to 80 per cent of old tungsten models. They are not always cheap to install, but the investment tends to pay off over time – the Carbon Trust cite a small hotel who spent £22,000 upgrading 80 lights, but who are now saving £6,600 annually on their energy bill. Another easy option is recycling. This reduces the amount of waste going to landfill, while recycling of paper reduces some of the pressure responsible for deforestation. However, recycling isn’t just good for the environment – it can pay too. Several companies and websites exist which allow firms to sell their recyclable waste. Next, audit your travelling. While face-to-face meetings are important, they are not always necessary, and unless you travel everywhere by bike, the journeys create emissions – not to mention cost money and reduce the time you have available to do actual work. Instead, see if you can cut the amount of face-to-face meetings, replacing them with conference calls or even video conferencing (a solution made far cheaper by the advent of Skype, Facetime and similar solutions). What links these solutions together is that they are not simply good for the environment – they can help your business too. 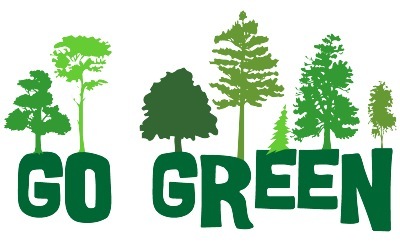 The best green policies should be a virtuous circle which promote sustainability while helping the company. That’s a good enough reason for all SMEs to give green a go. This entry was posted in Blog, Business Image on 11th July 2013 by Andrew Issott.